If now is the time for you to purchase your first home, make the step to the next level, or invest in your dream property, it can help to find the right residential finance company for the job. Texans have a wide range of financial experts at their disposal when it comes to buying a home, but no two services are created equally. It can pay to find the best avenue for you to move into your property, as many residents have found ideal results by working with a home construction company to create a customized result with a range of advantages for the buyer. B&M Asset Group, LLC is here to provide the best process to get our clients into ideally made homes. We offer a number of financing options to buyers in Amarillo, including our lease-to-purchase program, trade-in services, and more. We are highly experienced in the industry and will work hard to achieve the most value for your investment. Are you interested in financing a home through our construction company? Learn more about the value of B&M’s financing program, and be sure to contact us to get started! Current property owners can elect to sell their present-day home in order to open up more capital to increase their buying power for the next property. Remember that selling your home is no simple process, and doing so will create a logistical demand for future lodging. Navigating the process of selling property in order to buy more can be stressful, leaving you with a feeling of risk and uncertainty. B&M Asset Group, LLC is the only company in the United States that offers a purchase program for your existing home. This approach can be likened to a trade-in program, giving buyers the ability to regain value and financing for debts, home programs, and more. No need to list the property — The process of preparing your property for the market can prove to be a hassle, especially if you are trying to purchase a new home. Descriptions, photos, and a variety of other tasks can be negated when you work with our mortgage loan specialists. No home showings — Worried about scheduling showings to potential buyers? Our process eliminates this need, saving your family from the hassle of leaving your home several times a week until a sale is made. No commissions, fees, or closing costs — B&M Asset Group strives to maintain a fee-free process, allowing you to sell your property without losing thousands in value to real estate agents and other costs. 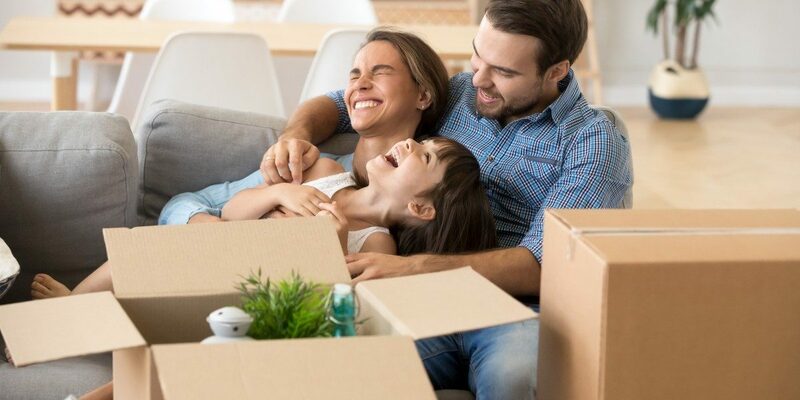 No concern for living quarters — Our team can help you plan your transition from your Exit Property into your custom home when you are ready, avoiding the inconvenience of living in a hotel or with a loved one until the new place is ready. B&M Asset Group is here to provide complete assistance throughout the process, guiding you to success with our 50 years of experience. Be sure to learn more about the B&M difference, and reach out to us if you’re ready to get started! Many of the people we work with are not sure as to the time of their stay in the Amarillo area. Our home finance team pays a percentage of your transaction towards closing costs, giving you the option to buy down your rate. If you plan on staying at this property for the long haul, this can prove to be very advantageous. Buyers hoping to make an affordable living can elect to pay more in interest over the life of the loan, assuming they’ll be making a sale on the property in the near future. Our lease-to-purchase program provides flexibility for those interested in buying a new home in Amarillo but not ready to make a purchase. B&M Asset Group, LLC provides payment plans that can pay more toward principal in a fee form in order to lower the monthly rates. This may prove doubly advantageous when you are trying to transition into purchasing your home. Learn more about our finance programs, and be sure to browse our site to find the perfect property for your family! Completing the entire home building and financing program in one streamlined process helps our home finance company to deliver the best value at an amazing rate. Our lease-to-purchase programs in Amarillo enable Texans to make their money go further, from stainless steel appliances to affordable interest rates. We’re happy to work with buyers of all financial backgrounds to achieve success in today’s market. Contact us online to learn more, and be sure to ask about our affordable home financing programs!